dance.net - Small Aboyne Outfit (10247592) - Read article: Ballet, Jazz, Modern, Hip Hop, Tap, Irish, Disco, Twirling, Cheer: Photos, Chat, Games, Jobs, Events! Locked by Hate2Practice (193503) on 2018-01-12 15:14:05 . Outfit is well used and would suit a young beginner dancer. 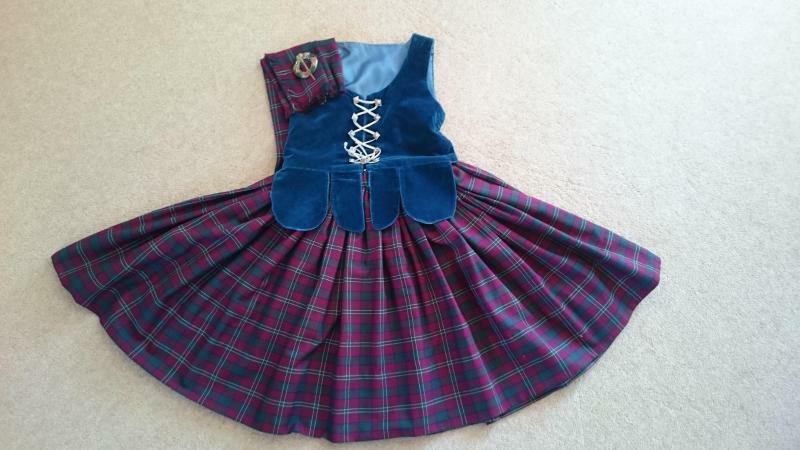 Waistcoat, skirt, plaid and brooch included. Price includes UK P&P, willing to post overseas at buyer's expense.